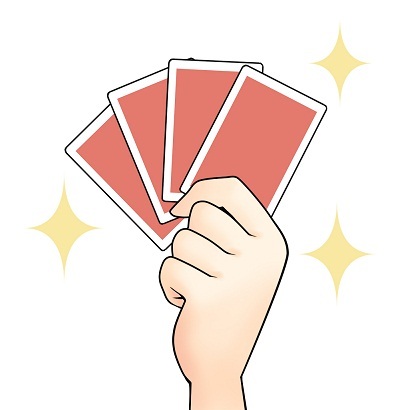 例：Management holds all the cards when it comes to the negotiations over job cuts. 例：The kidnappers seemed to hold all the cards. "One might wonder why Apple would feel the need to deal. It holds all the cards now, right?"